Del. Charniele Herring, D-Alexandria, left, speaks on the floor of the House of Delegates. Democrats in Virginia’s House of Delegates say their school safety initiative will have a broader focus, including gun control. 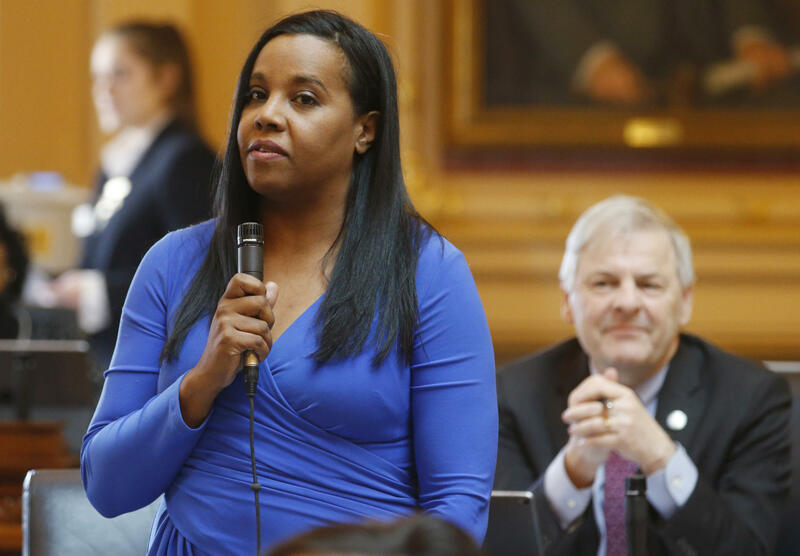 “Let’s face it the conversation on gun safety is incomplete without talking about gun violence,” says Charniele Herring, the Democratic Caucus chair. Members of this new task force will take input from local leaders, law enforcement, and public forums held around the state over the next several months. They’ll use that feedback to draft gun control legislation for next session. When asked what will be different about next year’s legislative session, Democrats point to renewed energy from students and parents.